Show your love for both Disney and country! 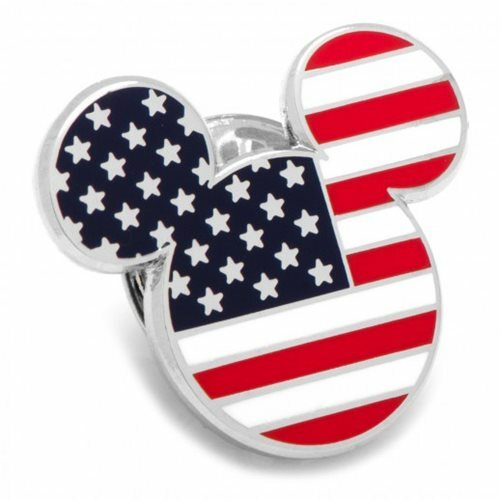 This Mickey Mouse Stars and Stripes Lapel Pin displays the American flag proudly atop Disney's iconic mousy mascot silhouette. It would look great with any outfit! Measures approximately 3/4-inches tall by 3/4-inches wide.